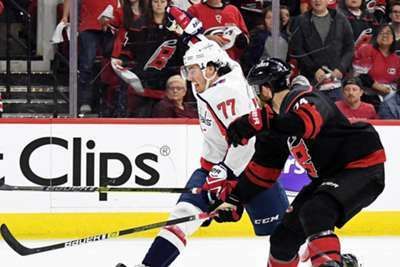 Shea Theodore's first-period goal was all the Vegas Golden Knights needed to secure their first NHL playoff win in franchise history. 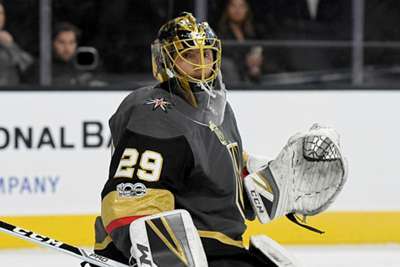 Marc-Andre Fleury stopped 30 shots in front of the net for the Golden Knights in game one of their Western Conference first-round clash against the Los Angeles Kings on Wednesday. The Kings pulled goalie Jonathan Quick with just under 1:30 remaining but shots by Jeff Carter and Tyler Toffoli were saved by Fleury. Another first for the @GoldenKnights. Vegas will look to take a 2-0 series lead over the Kings at T-Mobile Arena on Friday.